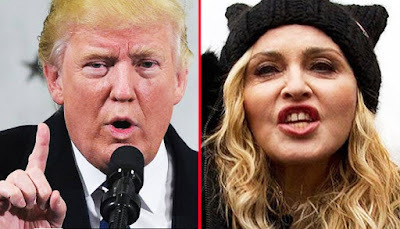 Donald Trump has labelled singer Madonna "disgusting" after she mused out loud that she was thinking about "blowing up the White House". "I'm angry. Yes, I am outraged. Yes, I have thought an awful lot about blowing up the White House. But I know that this won't change anything.